There are many ways to make your business more profitable, and sound credit policies are high on the list. The current slowdown in the economy is a good reason to reexamine your company's policies. Keep the following items in mind as you review your policies. * Don't be so eager to sign on new customers that you neglect to check out their credit history. 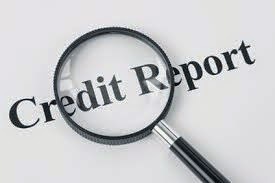 Take the time to check references, and obtain a credit report to see how they've handled other financial transactions. * To speed collections, invoice customers when you ship the goods; don't wait until the end of the month. Make sure your invoice clearly shows your payment terms, including penalties for late payment and the discount, if any, for prompt payment. Call us if you'd like to review your credit policies. To see why a third kind of financial statement called a Funds Flow Statement is useful, follow this case. A printer has started a new printing business. He invested $20,000 of his own cash and borrowed $50,000 from the bank to buy new equipment. After a year of operation, he has managed to pay off the bank loan. He now owns the equipment free and clear. When he is told his net profit is $50,000, he can't believe it. He might tell you that he took nothing out of the business and lived off his wife's wages for the year. And since there is no cash in the bank, just where is the profit? The Funds Flow Statement will show the income as a "source of funds" and the increase in equipment is an "application of funds." The Funds Statement is even more useful when you have several assets to which funds can be applied and several sources of funds such as bank loans, vendor payable s, and business profit or loss. 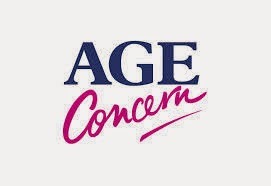 Are you aware of the numerous age-related provisions in the IRS code? They are probably more plentiful and significant than you thought. Here are a few examples of the age-related tax rules that could affect you and your dependents. * At 50: retirement contributions. The government allows extra "catch up" contributions to retirement savings. This is a helpful provision to encourage savings. * At 65: increased standard deduction. Uncle Sam grants a higher standard deduction, but there's no additional tax benefit if the taxpayer itemizes deductions. * At 70½: mandated IRA withdrawals. The IRS requires minimum distributions from a taxpayer's IRA beginning at this age (doesn't apply to Roth IRAs). This starts to limit tax-deferral benefits. How to tell you have credit card problems. If you're living beyond your means, you could be courting financial disaster. Here are some indicators that you need to get your credit card usage under control. * Your income's dwindling but your credit card balances keep growing. Lost your job but can't seem to reign in those charge cards? Don't be surprised when the bill collectors come calling. * You pay only minimum balances. Still paying off last year's Valentine's Day dinner? Bad spending habits? * You practice the credit card shuffle. You take out a cash advance on one credit card to pay off another, then apply for another card when the first comes due. 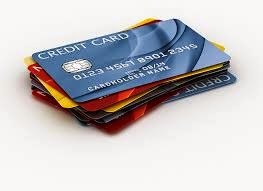 Practiced regularly, shuffling credit cards is a losing game. At some point you need enough income to cover your expenses. Eventually, the house of credit comes tumbling down. * You're working overtime to cover expenses. Say you work for an airplane manufacturer that's building a new line of jets. To increase production, the company asks you to work longer hours. Bigger paychecks become routine and the cash starts flowing. So you take out installment loans to buy a new car or boat or house on the beach. But what happens when the production line slows down and the overtime pay dries up? The car payments, boat payments, and second home payments keep chugging along. And suddenly you're struggling to make the payments. * You routinely charge everyday expenses. Do you use credit cards to pay for groceries, gas, and fast food? Unless you're disciplined and pay off the charges every month, your credit card balances can grow exponentially. * The utility company calls. When the local water company threatens to discontinue service because you're behind on the payments, it may be time to seek financial help. * You're refused credit. These days, even people with good credit may find it hard to obtain loans. But if your credit score is in the don't-call-us-we'll-call-you category, you may have a debt problem. The best time to seek professional advice is well before your financial boat capsizes. If you'd like help, give us a call. If you employed a housekeeper, nanny, gardener, or other household worker in 2014, you may have payroll tax obligations, commonly called the nanny tax. These payroll taxes apply if you paid a household worker $1,900 or more in 2014. Federal unemployment taxes apply if you paid more than $1,000 to all domestic employees in any quarter. Your filing obligations must be met by February 2, 2015. It's not always easy to tell whether a given worker comes under the nanny tax rules. For more details or filing assistance, contact our office. * Communicate clearly with the part-timer. 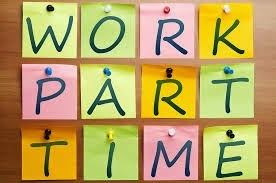 Explain the person's duties, the hours and benefits, and the individual to whom the part-timer will report. 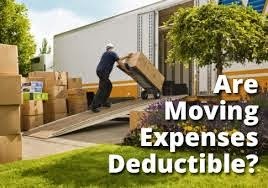 If you moved in 2014 because of a new job location, you may be entitled to a tax deduction for your moving expenses. To qualify for a tax deduction, your new job location must be fifty miles further from your old home than the distance from your old home to your old job. In other words, if your commute would be increased by fifty miles or more from your old house, you have met the distance test. In addition to the distance test, you must meet a length-of-employment and commencement-of-work test. During the twelve months following the move, you must have been employed full time for at least 39 weeks. Self-employed people have slightly different rules. The work test is waived if you have certain family or job misfortunes. 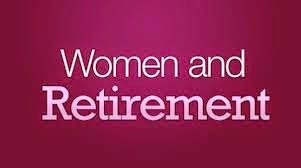 Women need to save more for their retirement than men do. Statistics show that women live longer than men, but earn less than men during their working years (which are often fewer due to time taken off for child rearing). According to the Census Bureau, 57% of the population over age 65 are women, and 70% of older people living in poverty are women. 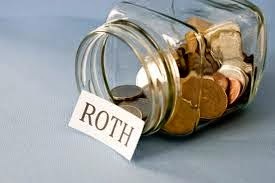 Using a Roth IRA for retirement savings means you won't get an upfront tax deduction for contributions. 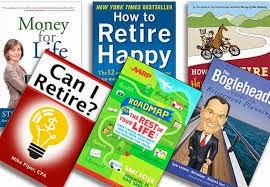 But withdrawals in retirement are completely tax-free provided you meet the age and time requirements. Also, you don't have to start taking minimum distributions at age 70½ as you do with other plans. Full retirement doesn't end your income tax obligations. You'll owe income taxes on withdrawals from a traditional IRA or 401(k) plan, and you'll owe taxes on investment income outside your retirement plans (interest, dividends, capital gains, etc.). Also, if your income exceeds a threshold amount, you could owe taxes on your social security benefits. If you continue working past age 70, you can still add to a 401(k) or Roth IRA, but not to a traditional IRA. At age 70½, you must start withdrawing from a traditional IRA, and unless you're still working, from a 401(k) plan. There is no age requirement for starting withdrawals from a Roth IRA.